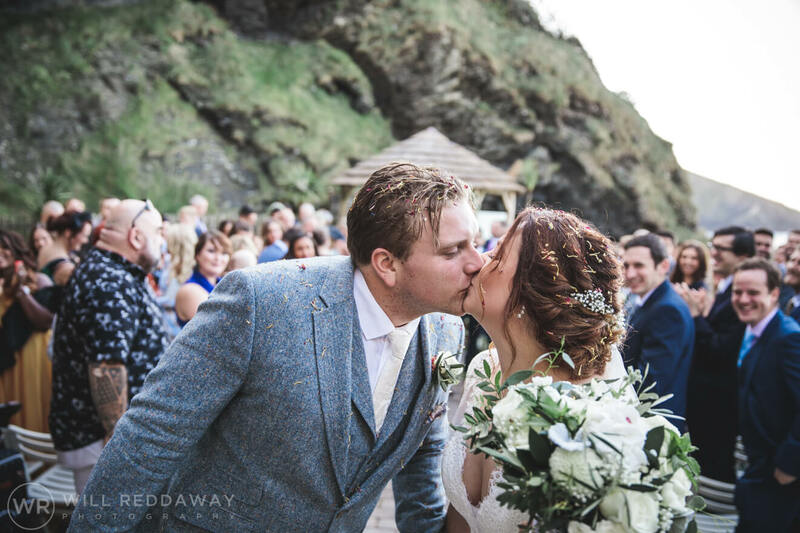 Katie & Phil’s Tunnels Beaches wedding was a wedding I was looking forward to for a while. 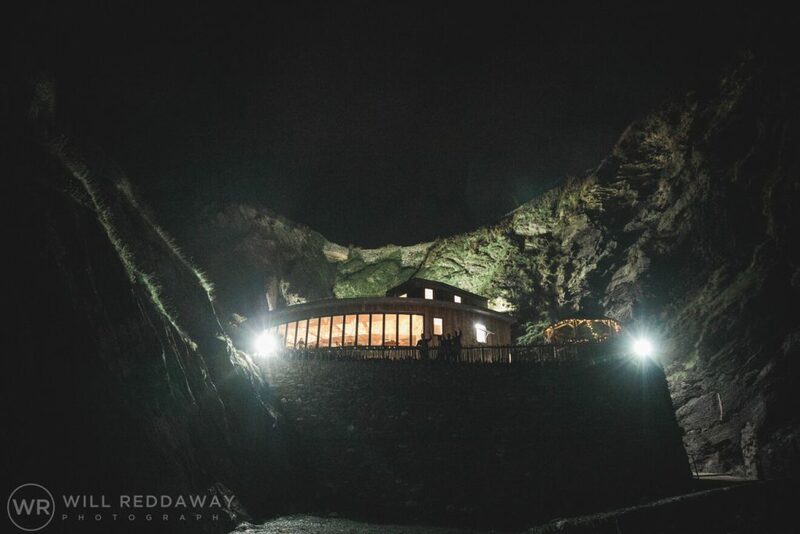 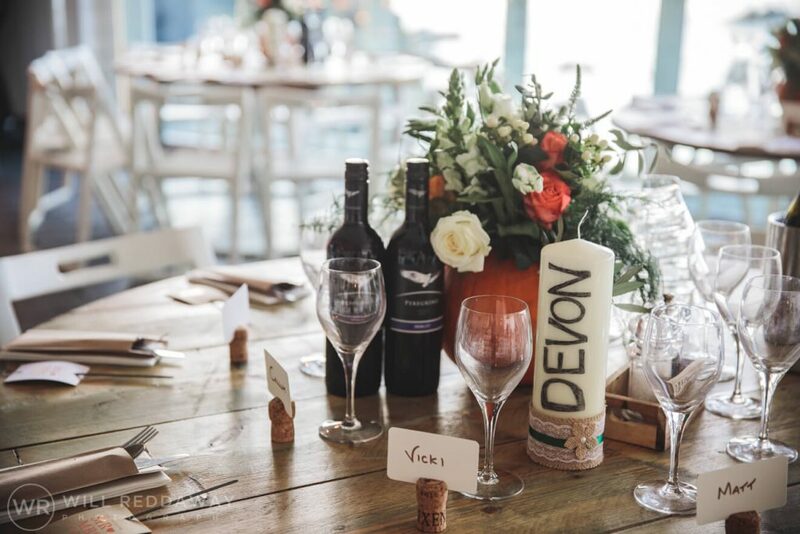 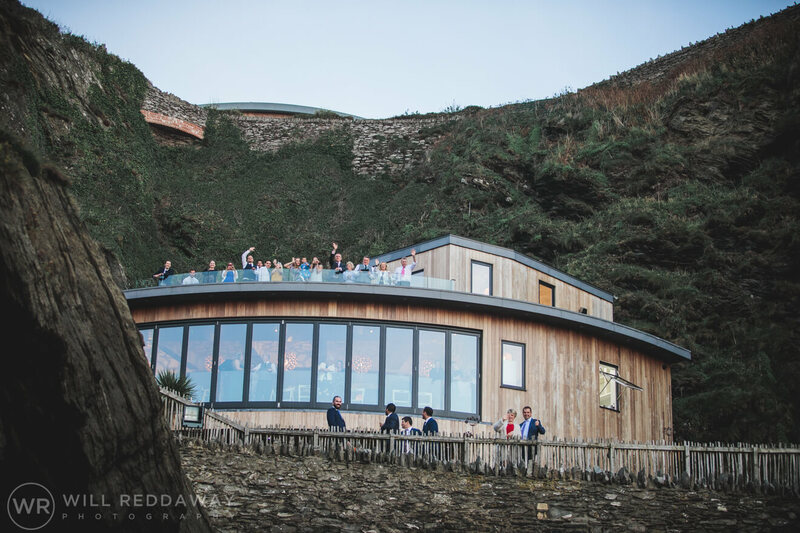 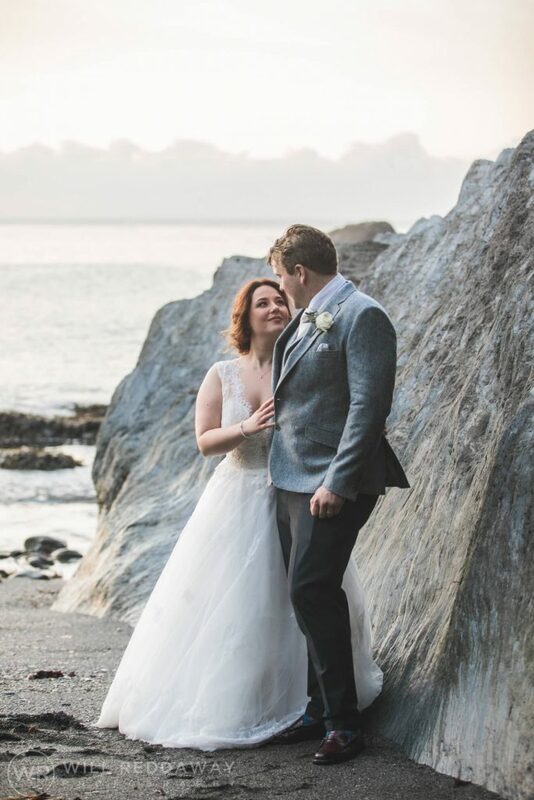 I love working at Tunnels Beaches, it’s such a unique venue set in amongst the cliffs, it really is such a pleasure to document weddings there. 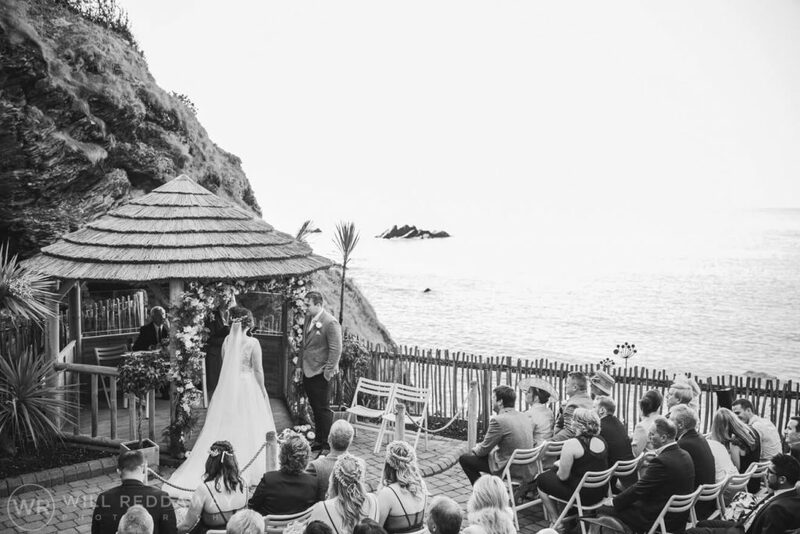 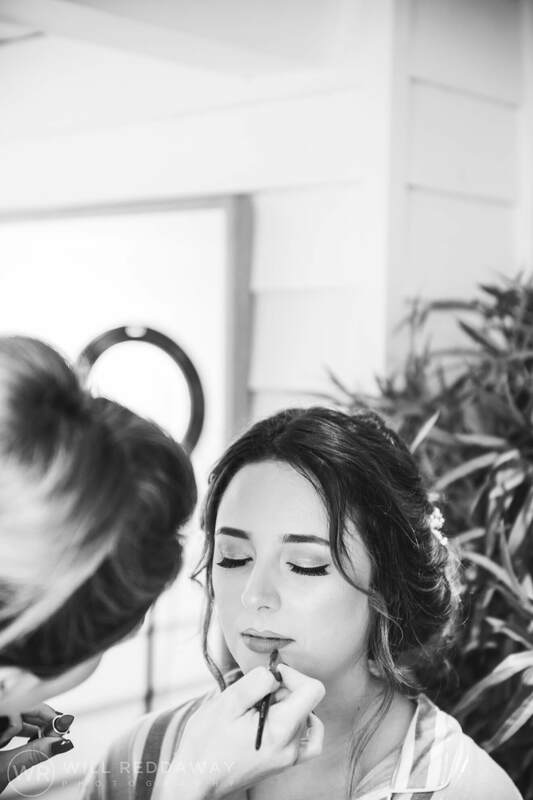 The whole day was held at Tunnels Beaches, from Katie getting ready with her bridesmaids in the morning, the outside ceremony overlooking the beach and the evening reception too. 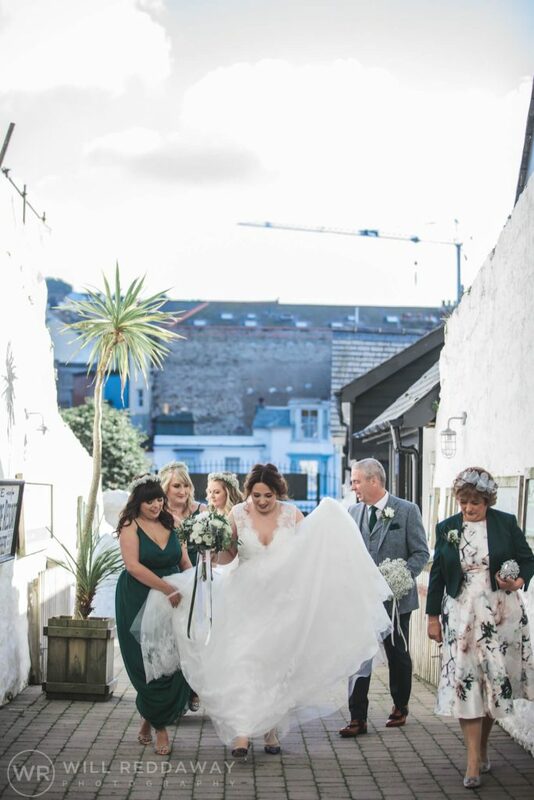 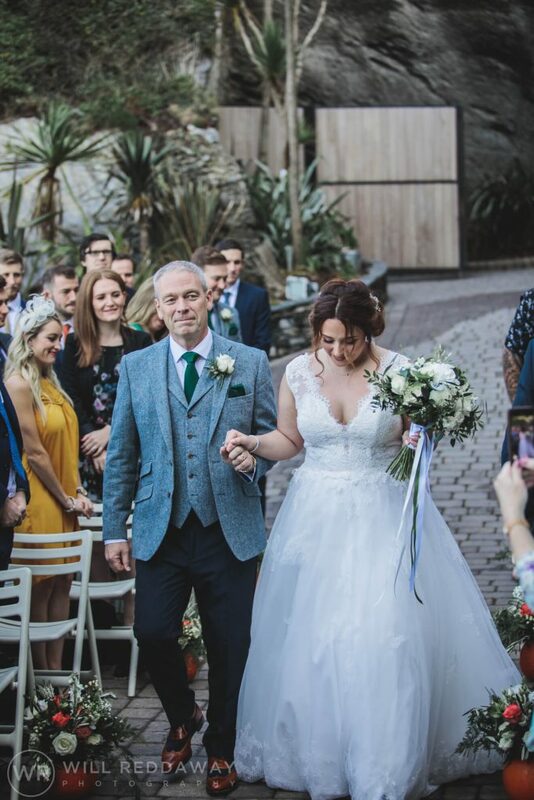 The ceremony was a beautiful occasion, with Katie & Phil’s family and friends joining them outside to witness them exchanging their vows to each other. On their exit from the ceremony Katie & Phil were showered in confetti, as they walked back up the aisle. 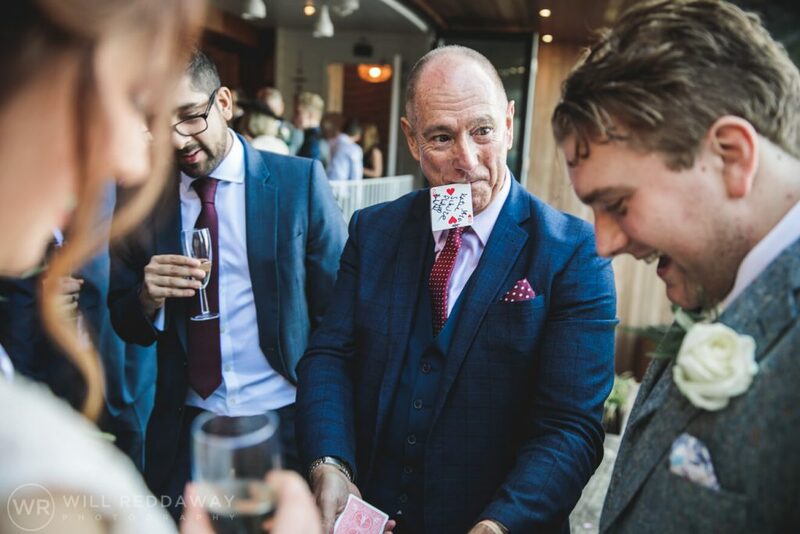 After the ceremony the guests enjoyed drinks and canapes out on the terrace whilst Gary Jones Magic wow’d them with some fantastic tricks. 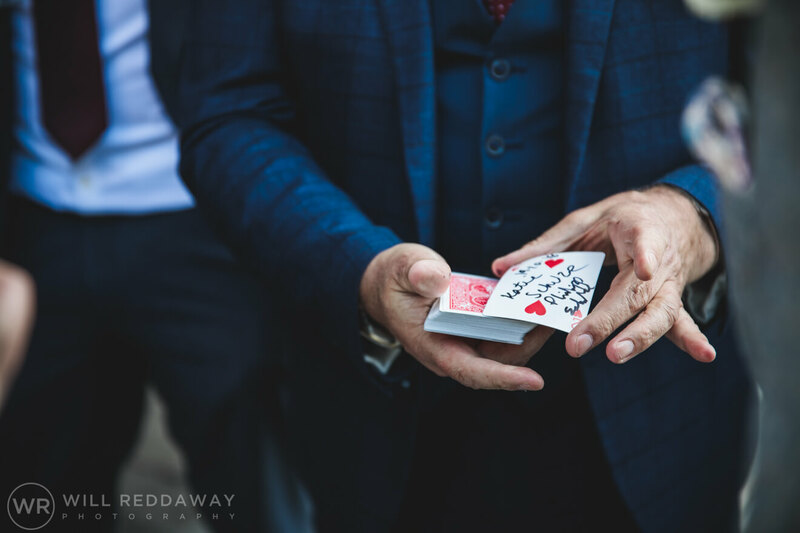 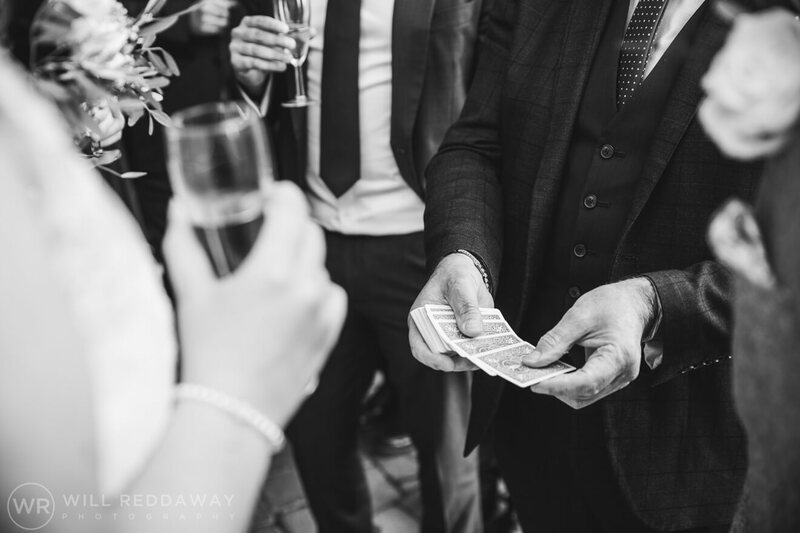 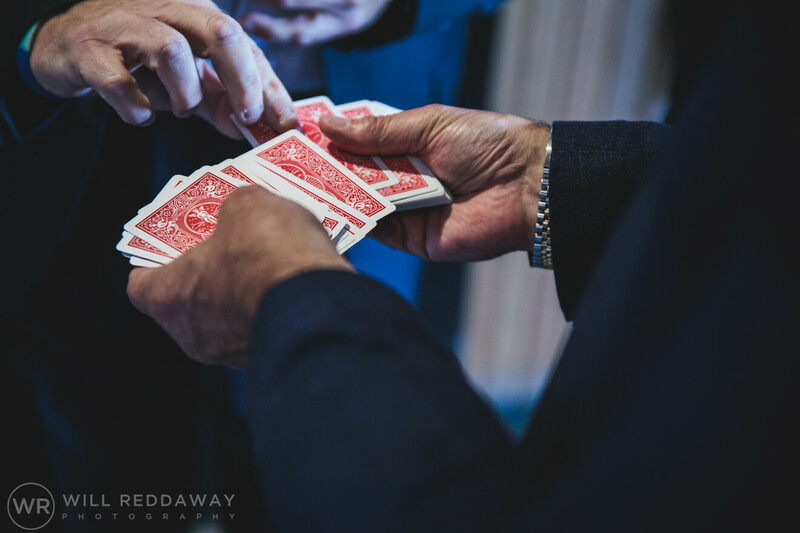 There are always so many opportunities to capture great photographs when there is a magician at the wedding and Gary Jones was classic. 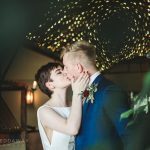 He produced some incredible moments for me to capture. 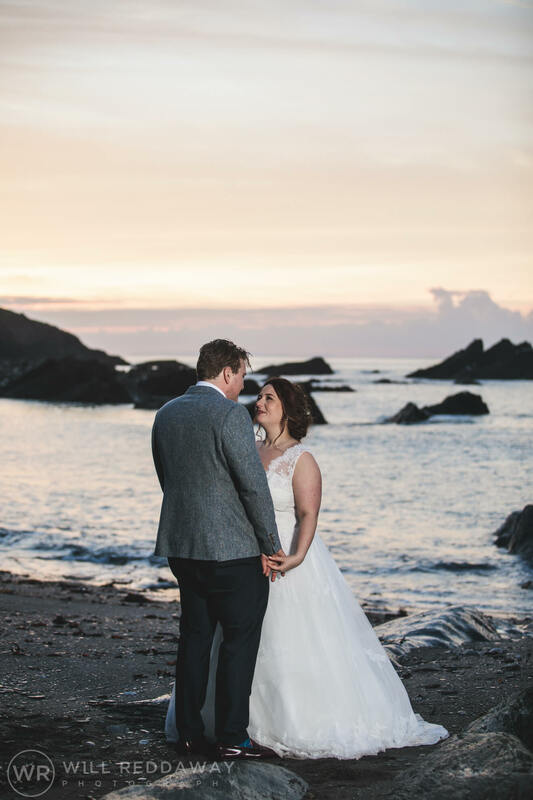 It was great to have some time with Katie & Phil on the beach and around the venue to capture some stunning couples portraits. 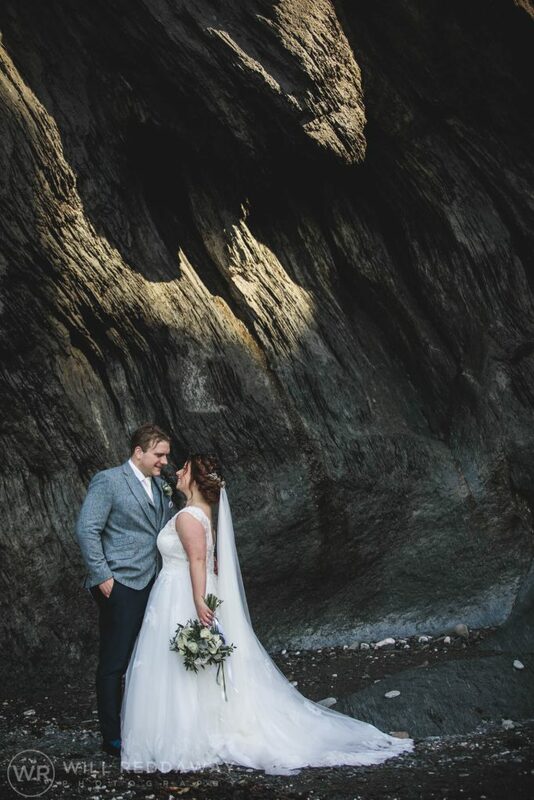 There are so many awesome spots around Tunnels Beaches to take photos with a bride & groom; each time I am there I can try something different. 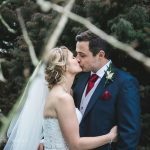 We captured some beautiful couples portraits before joining Katie & Phil’s guests for the wedding breakfast and speeches. 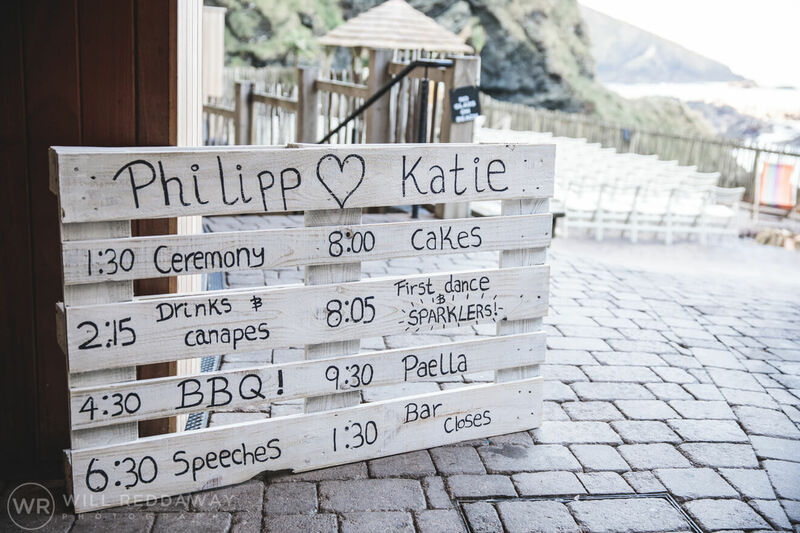 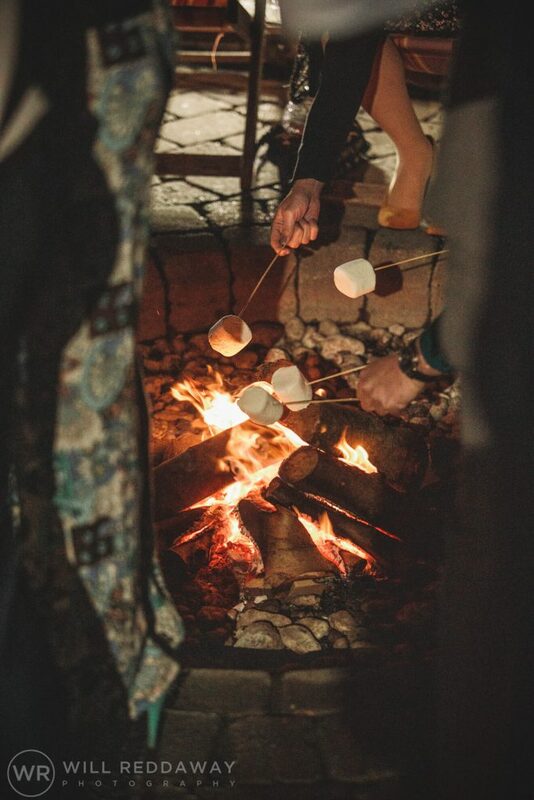 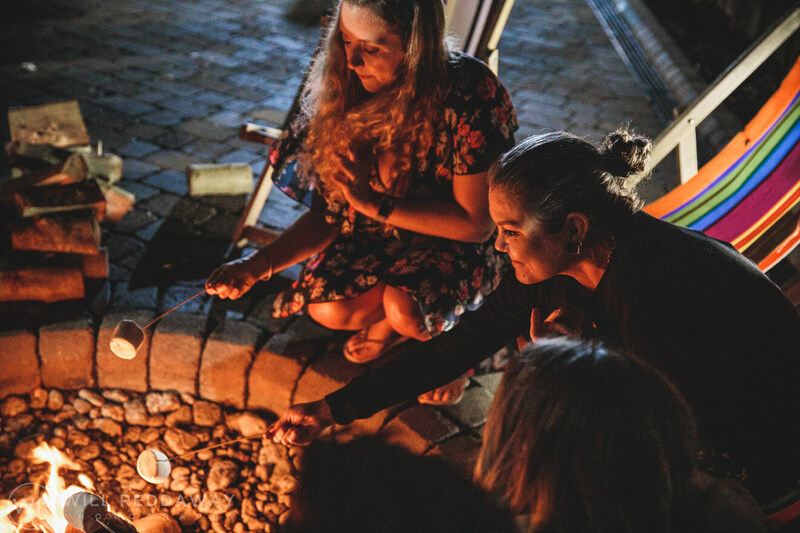 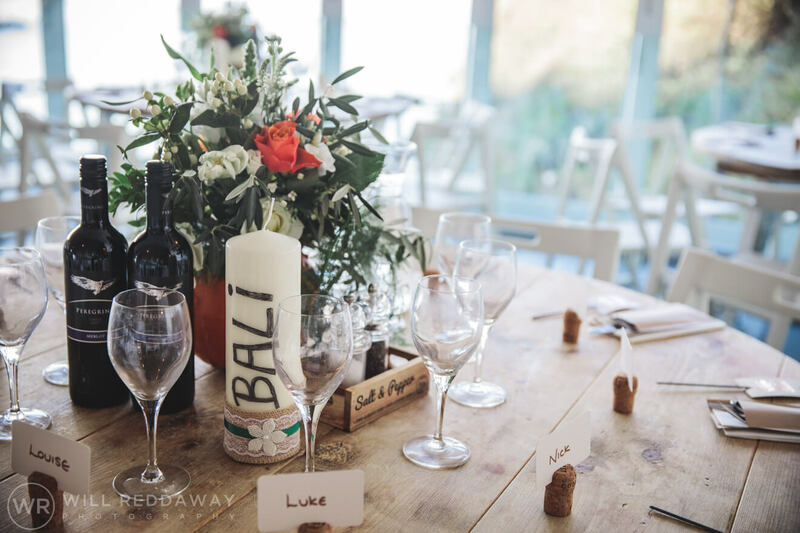 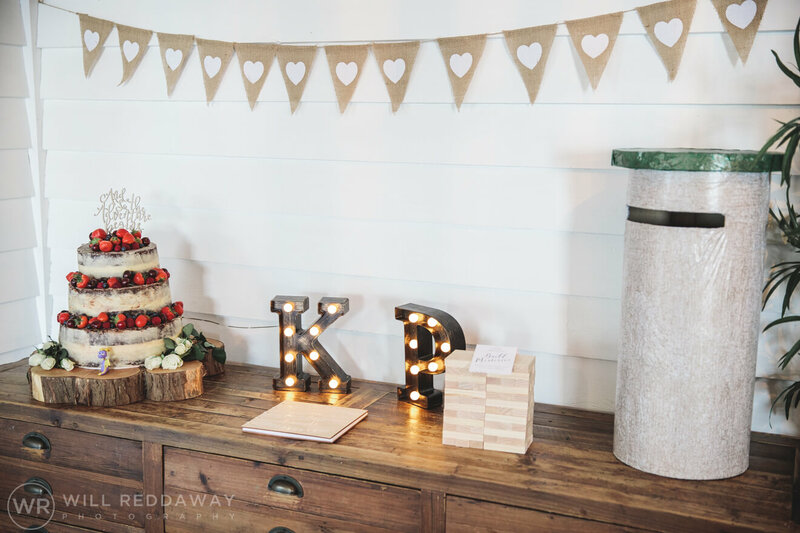 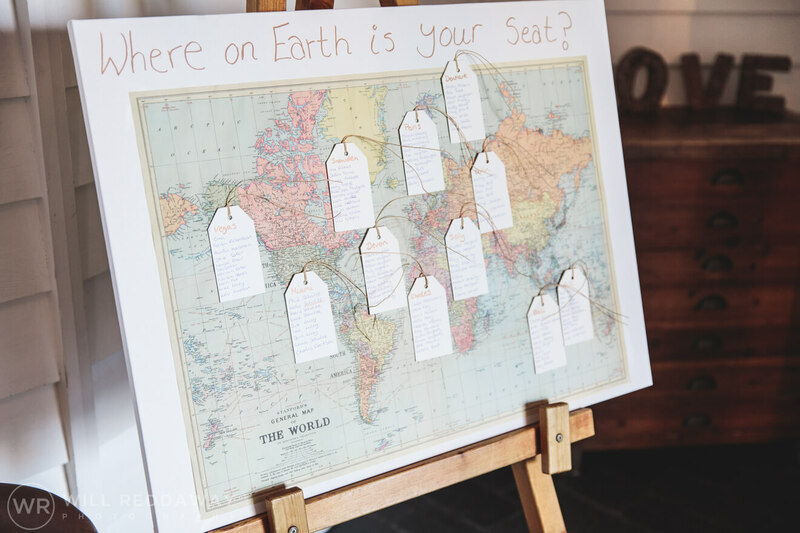 As the sun went down over the sea everyone headed outside again to enjoy the warm evening together before Katie & Phil performed their first dance outside, surrounded by their family and friends all waving sparklers. This was an incredible moment and really lent itself to some awesome photos. 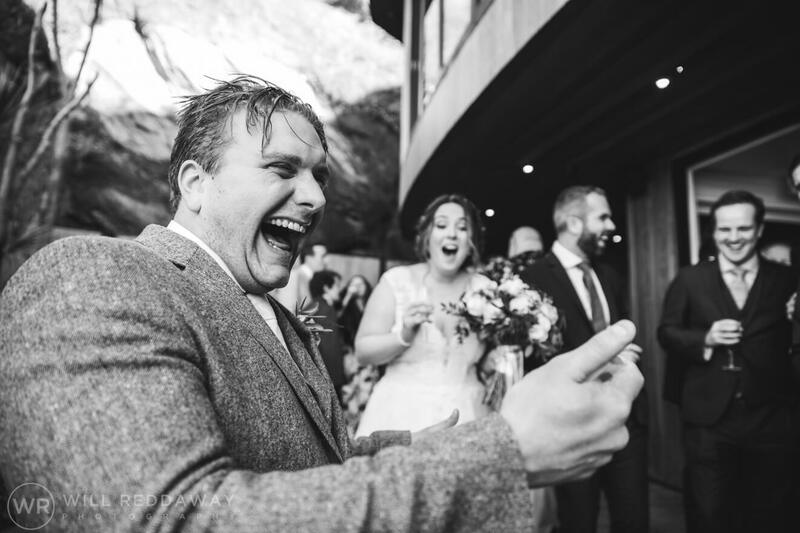 It was such a pleasure to be a part of Katie & Phil’s big day and I had a brilliant time documenting them, their family and friends. 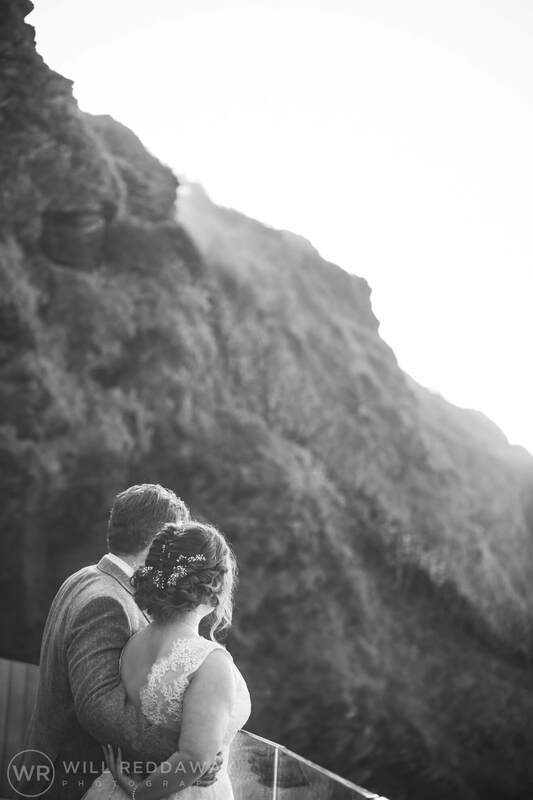 This Tunnels Beaches Wedding was great fun and so picturesque and I am looking forward to going back there again soon. 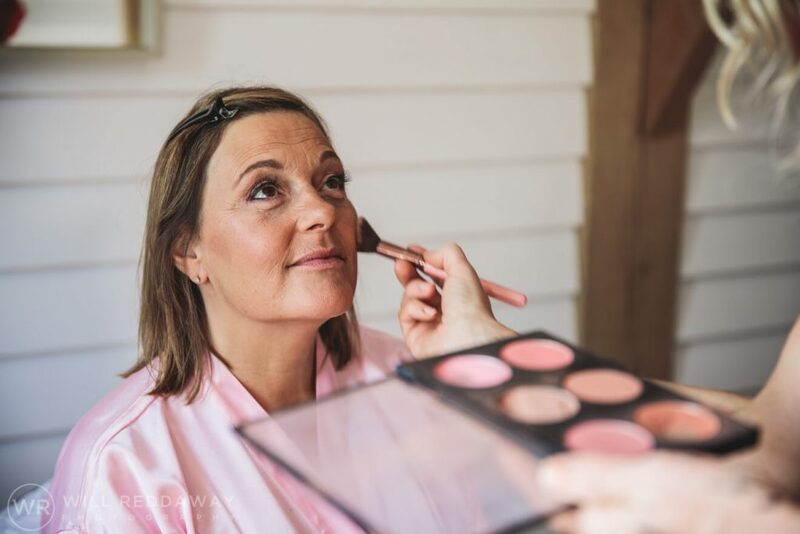 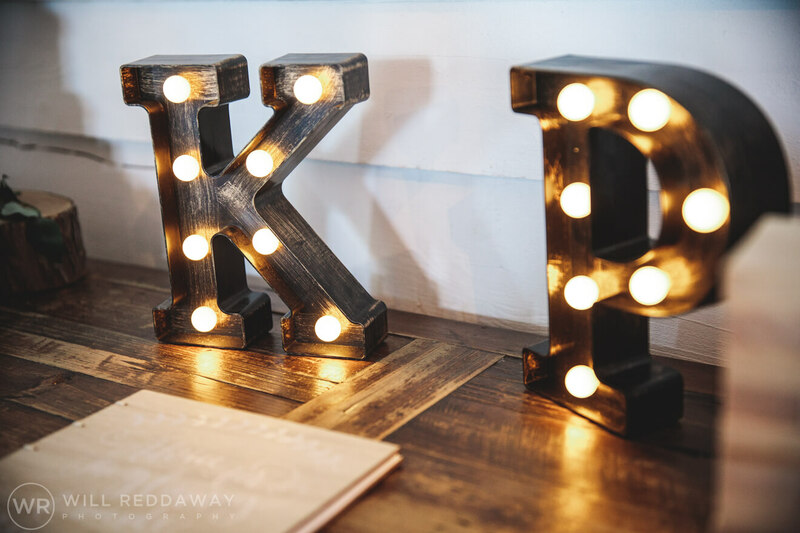 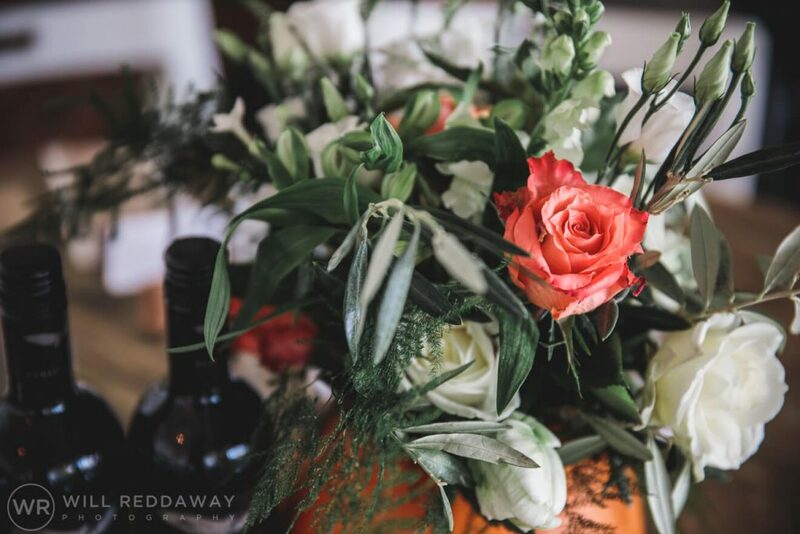 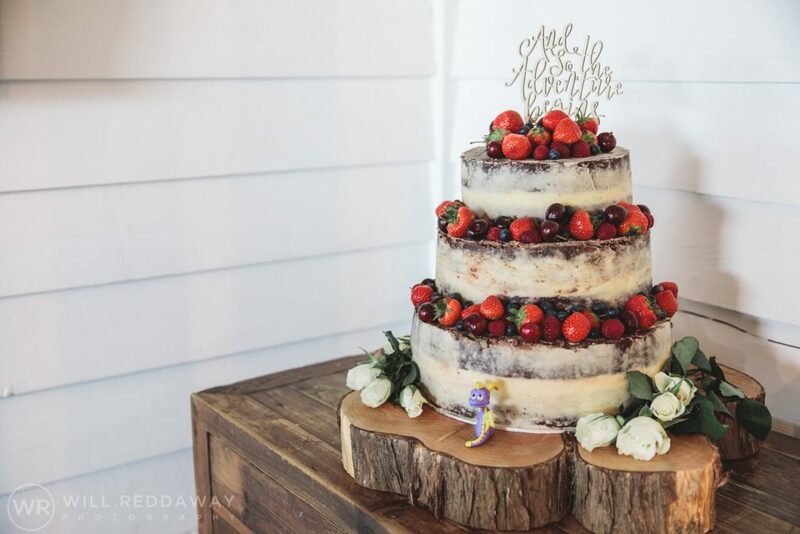 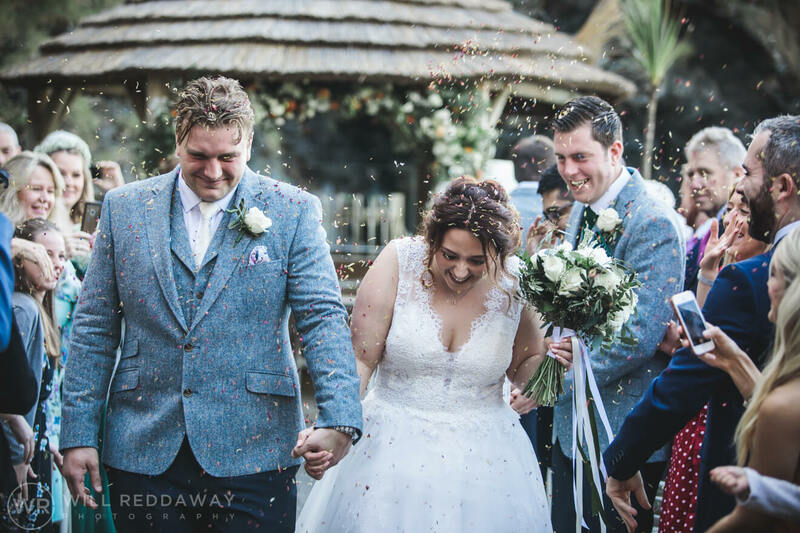 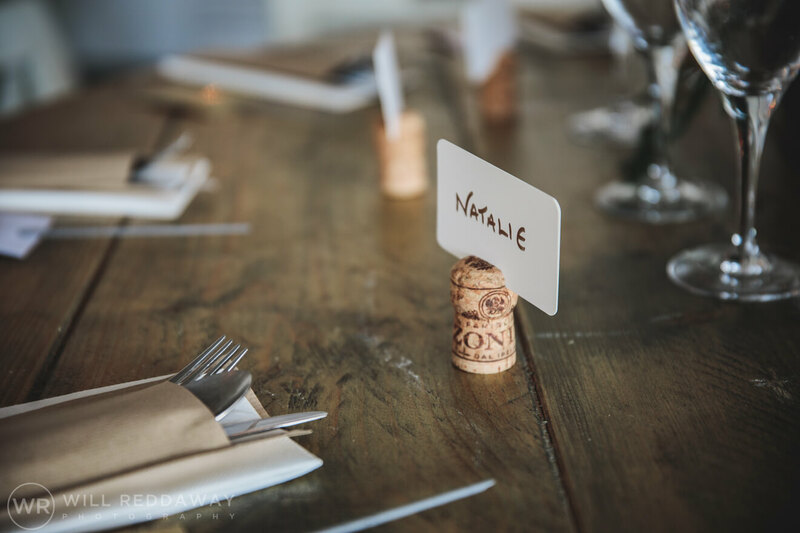 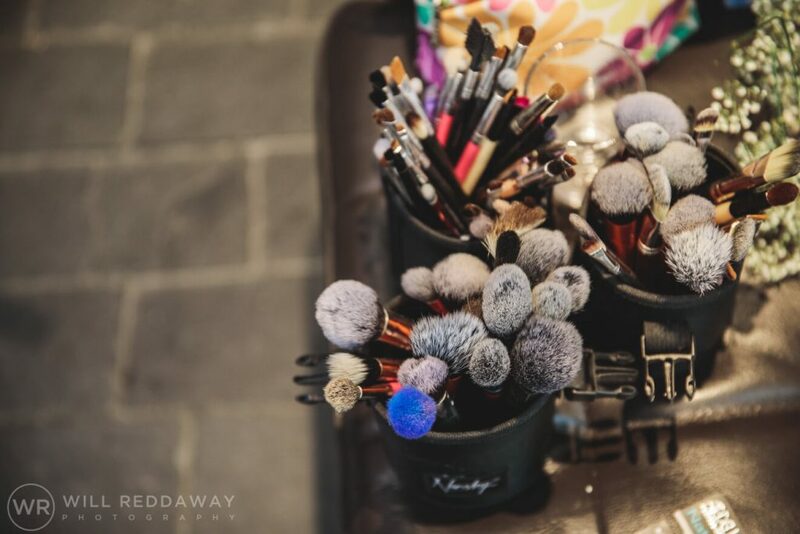 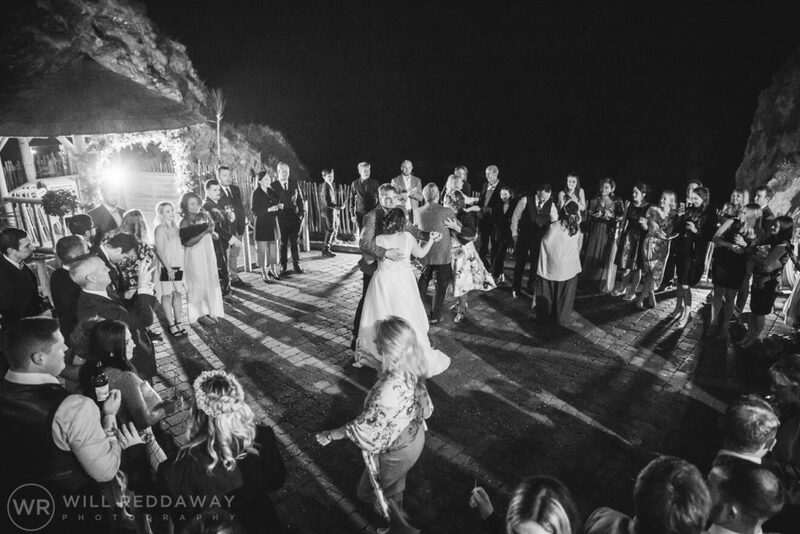 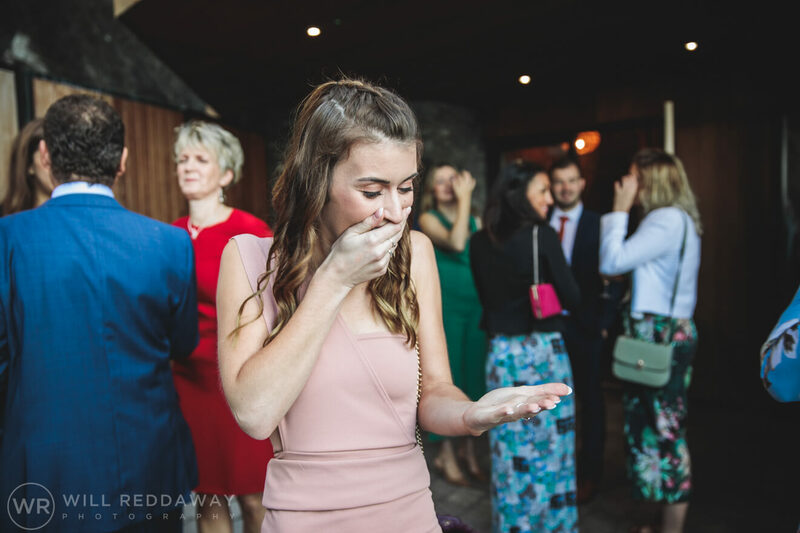 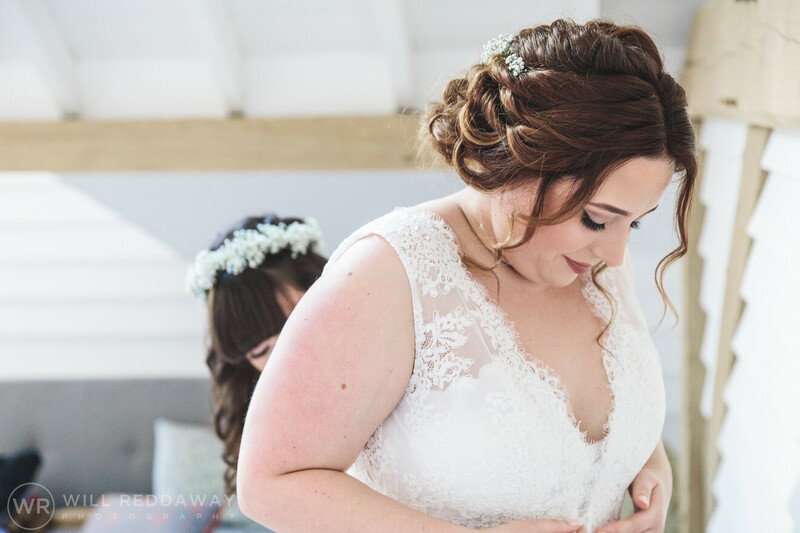 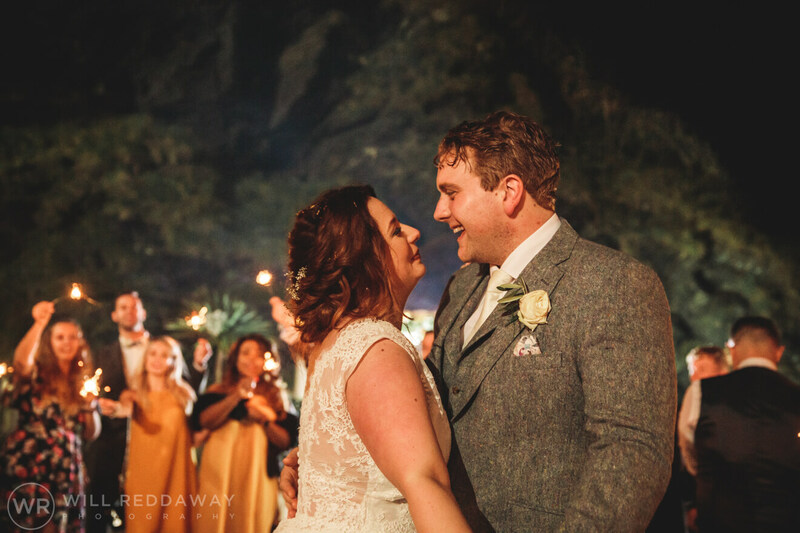 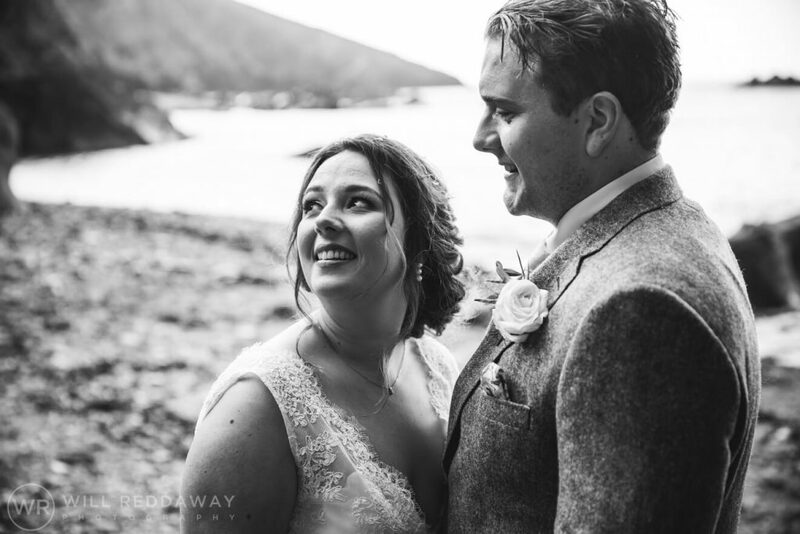 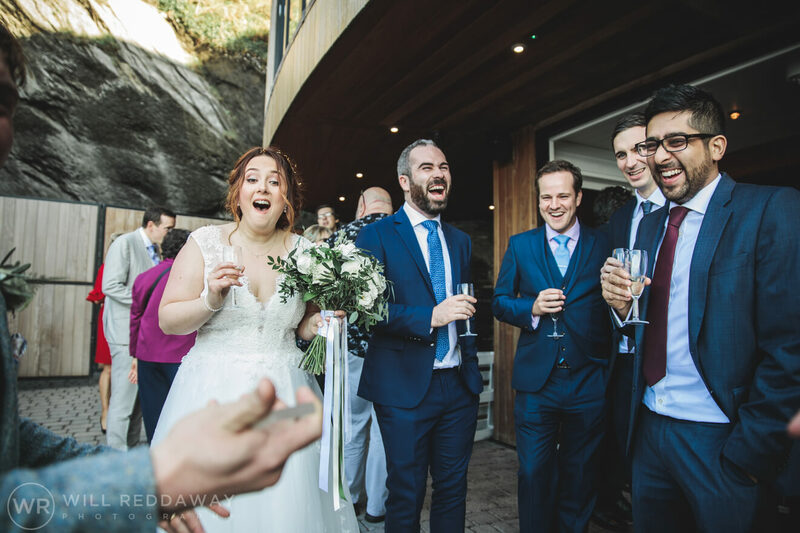 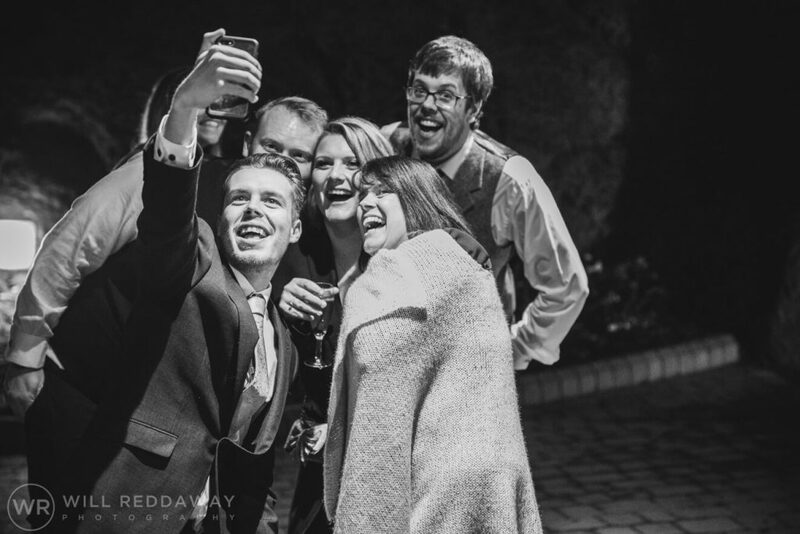 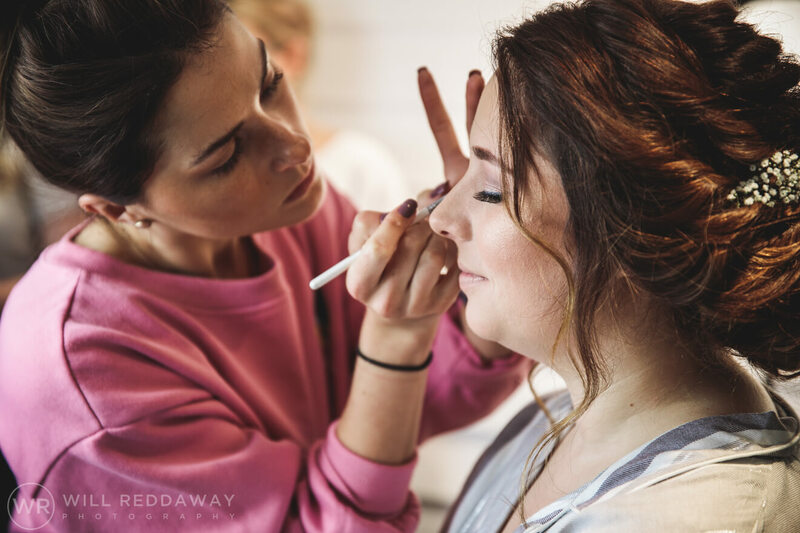 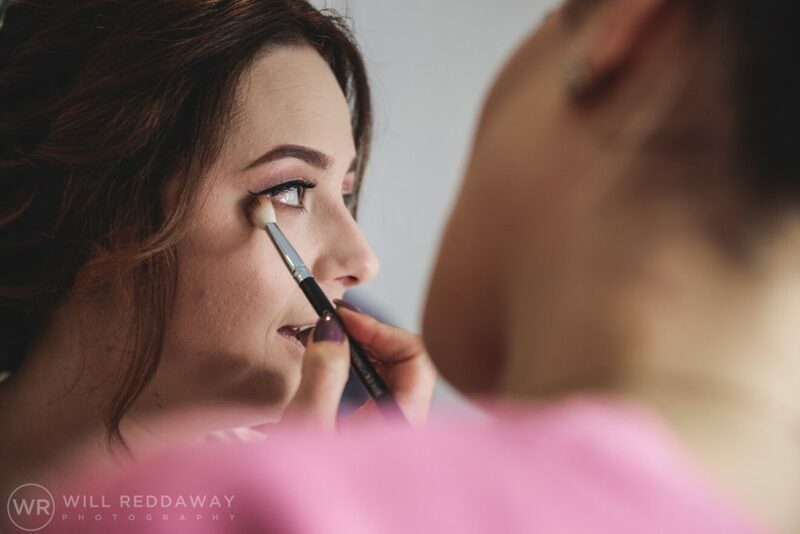 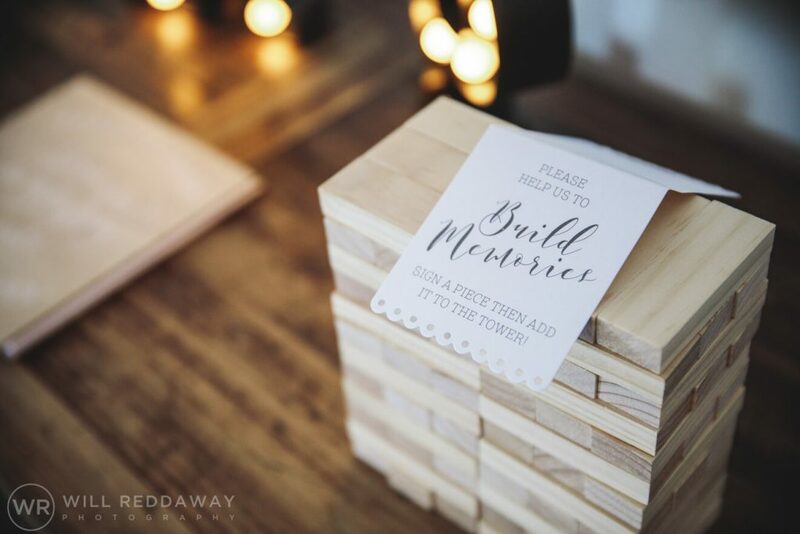 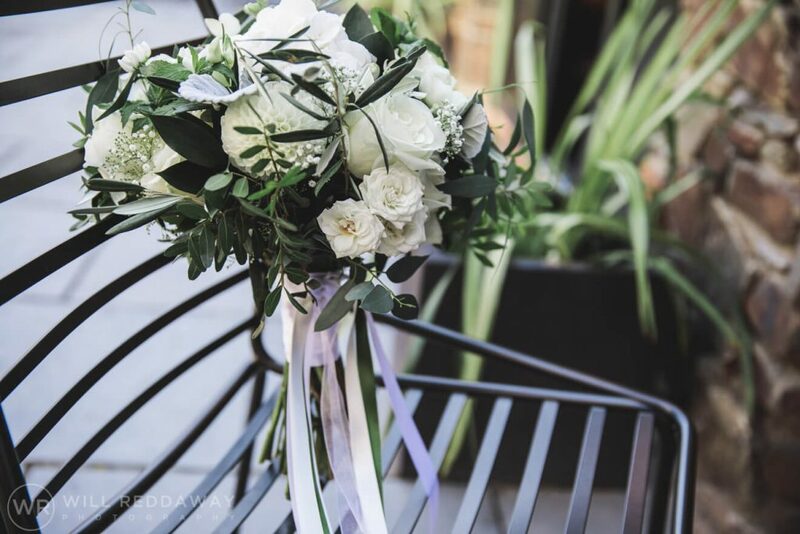 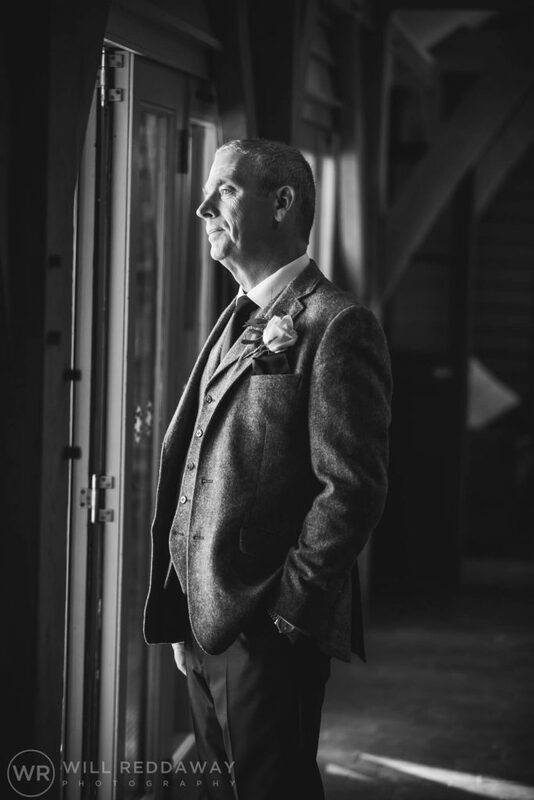 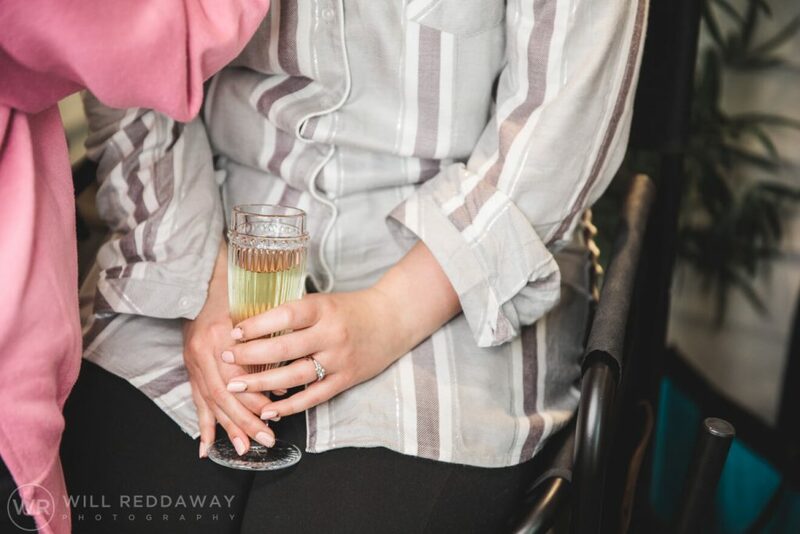 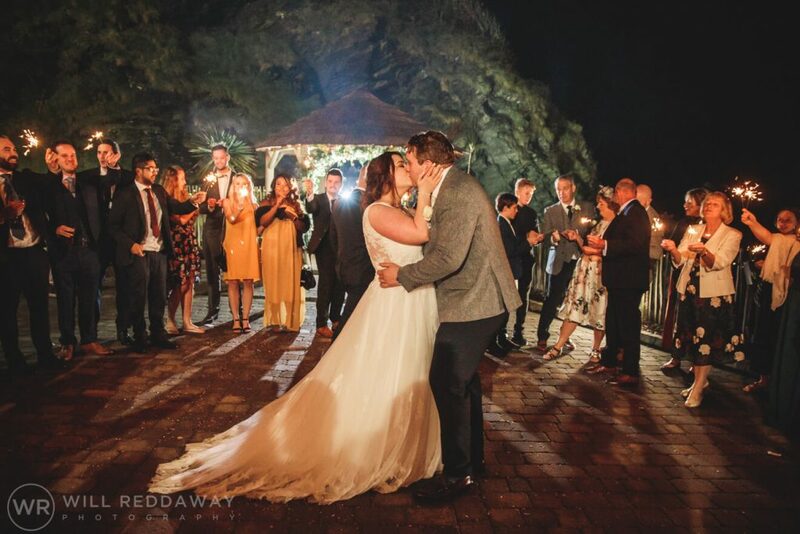 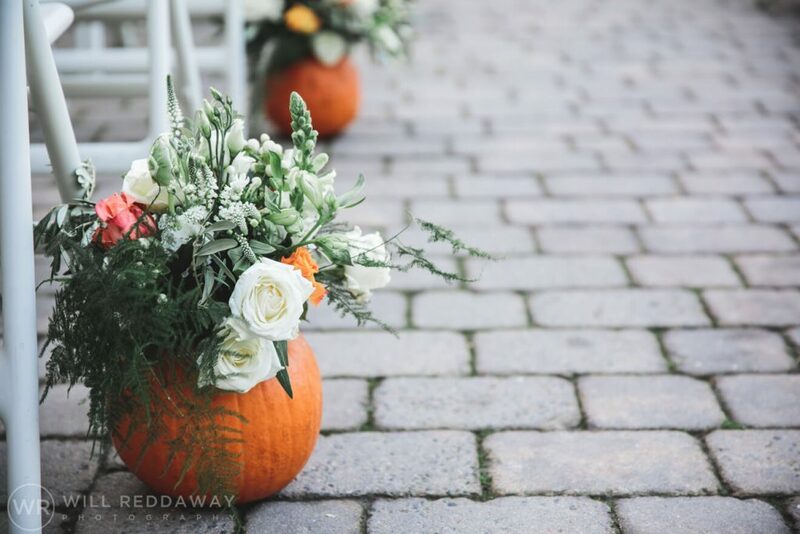 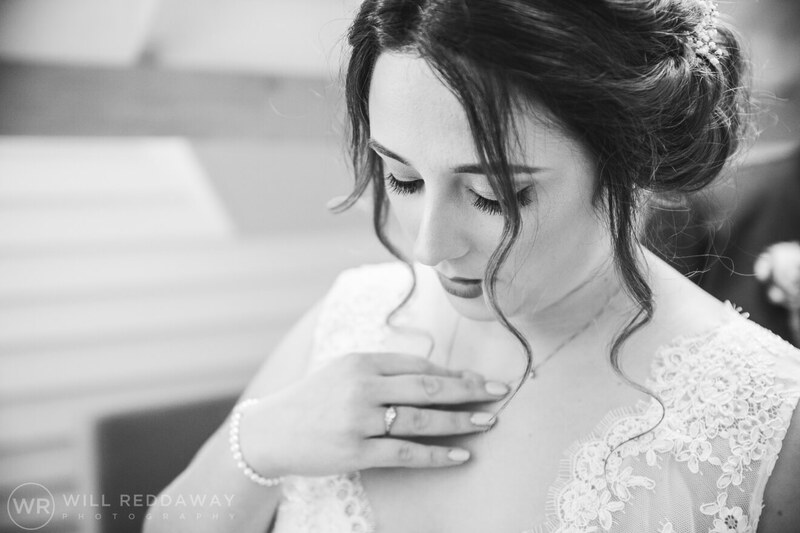 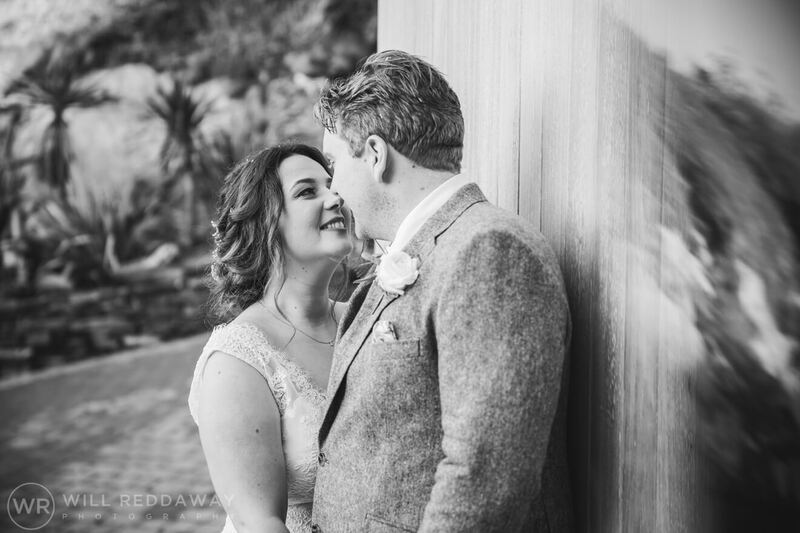 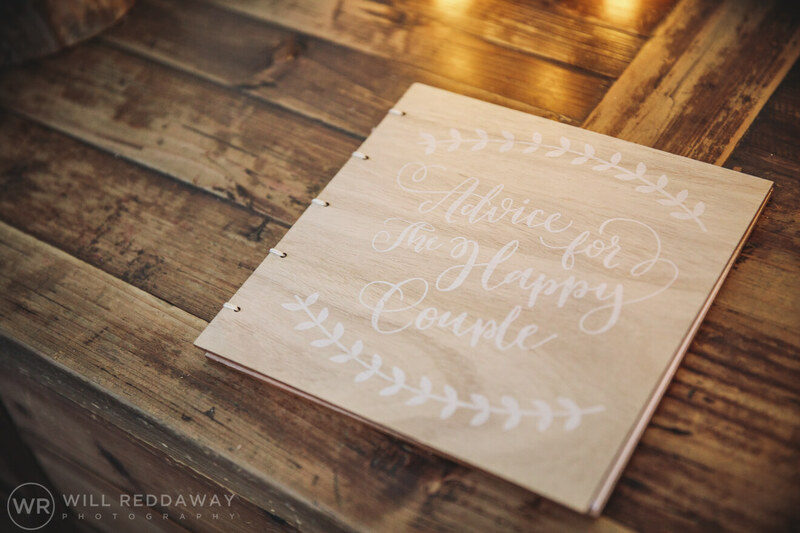 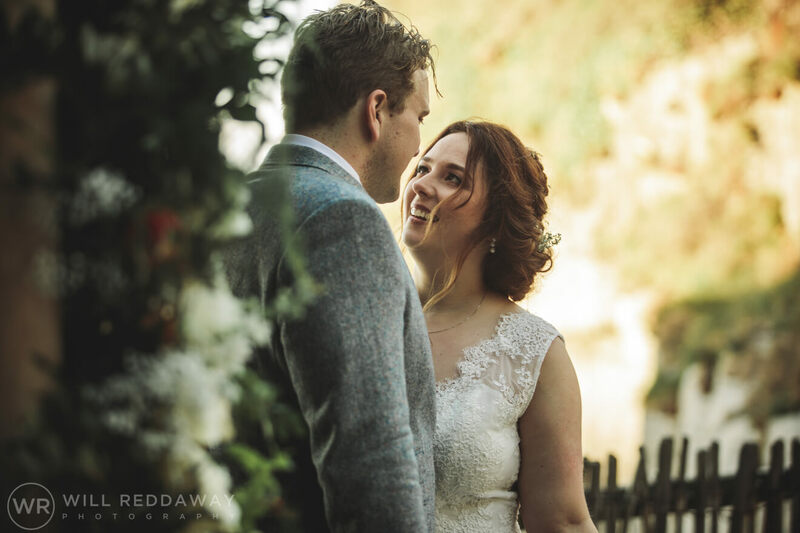 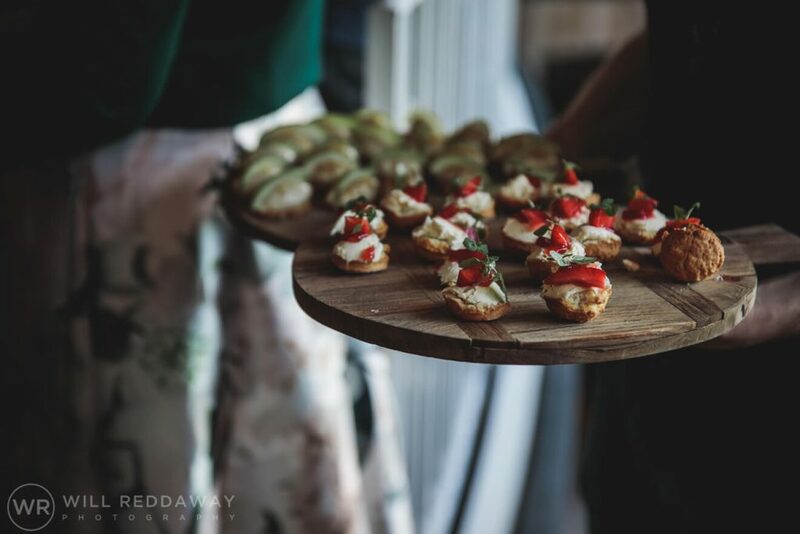 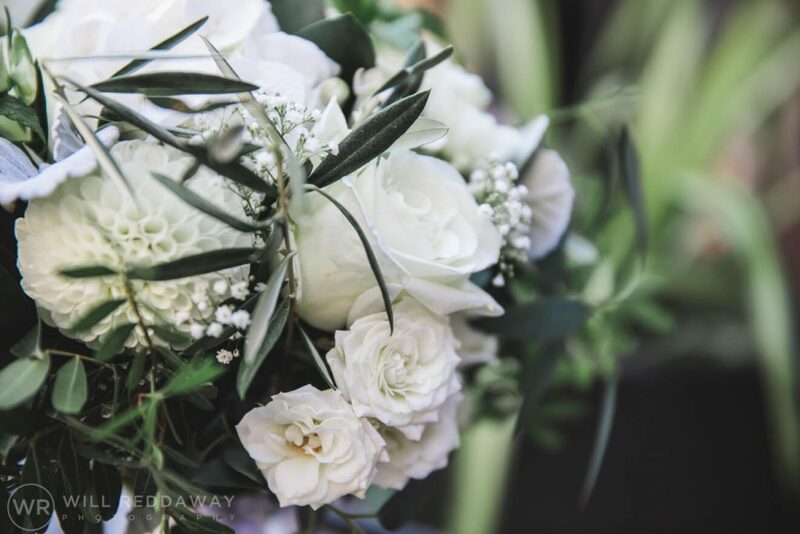 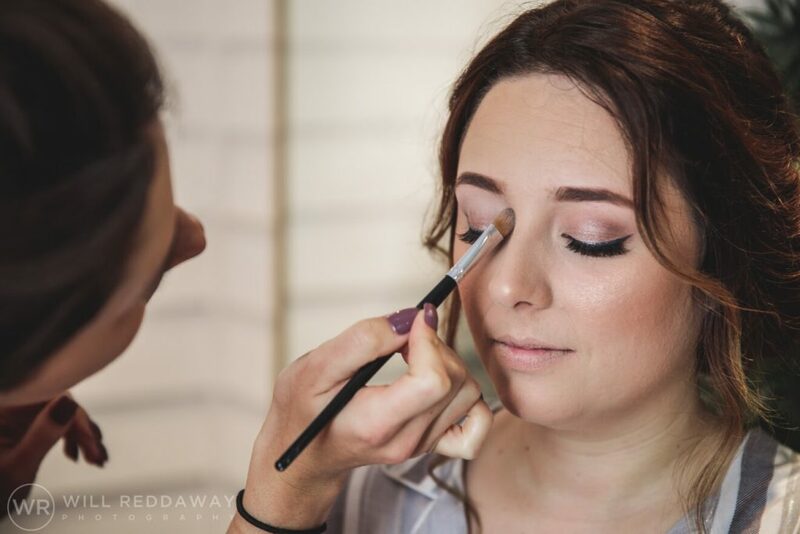 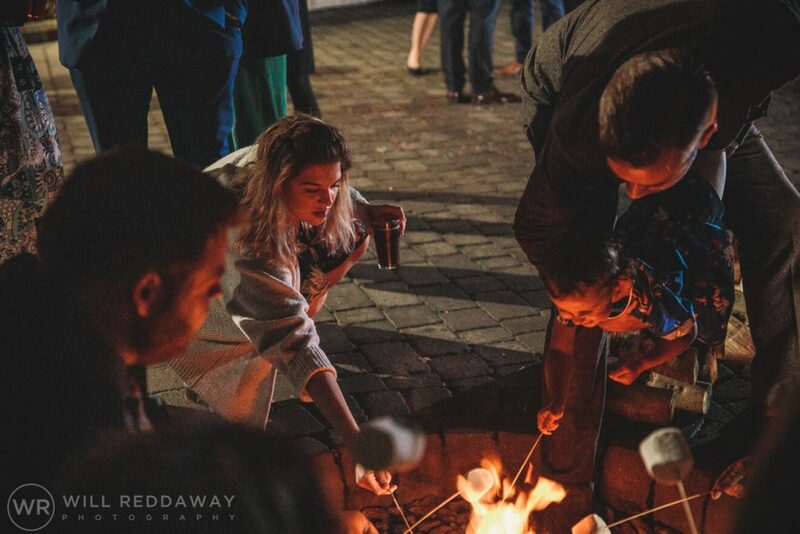 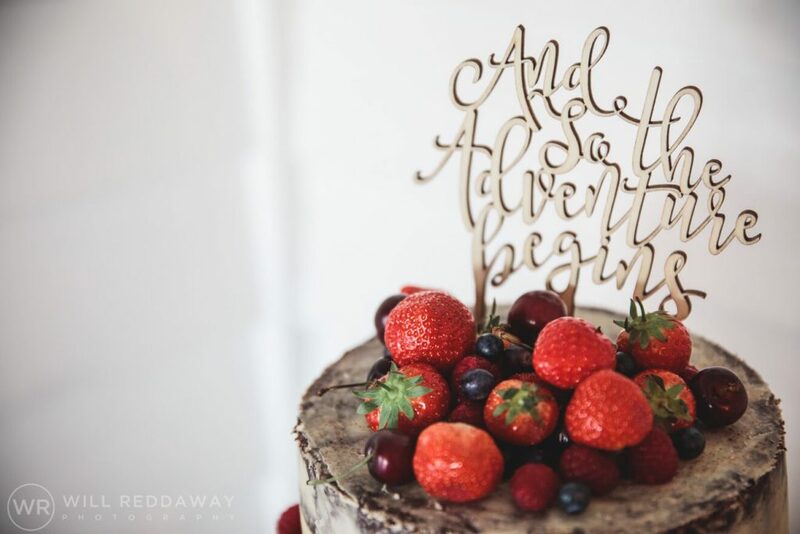 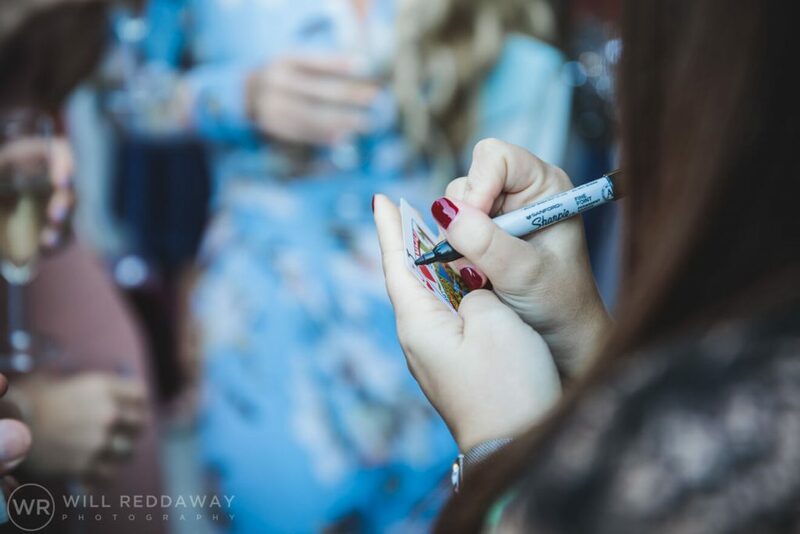 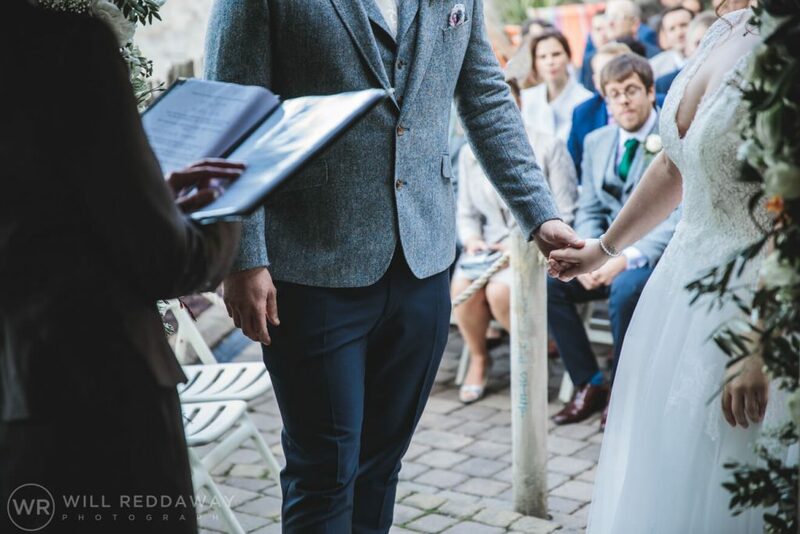 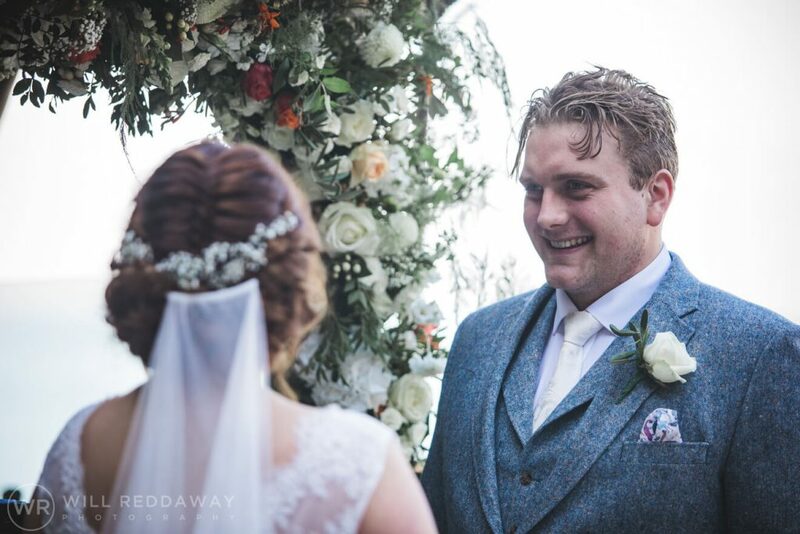 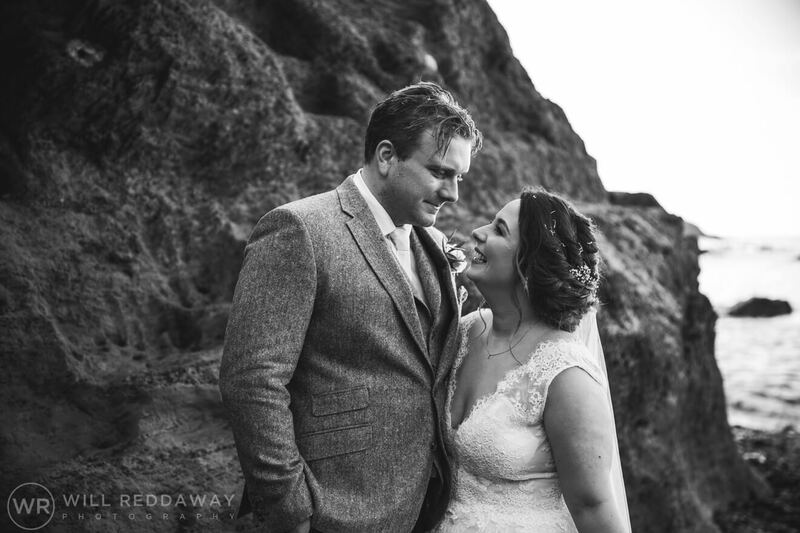 Will Reddaway is a Devon wedding photographer, He loves capturing images that tell an authentic story and capture the raw emotions of a wedding day. 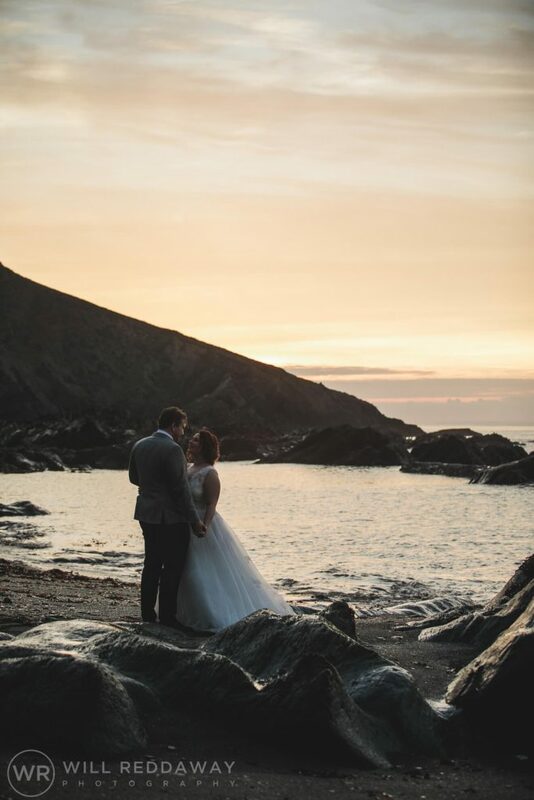 He loves photographing people out in pumping surf, on their wedding day and in beautiful locations across the South West. Remember, it’s not just weddings I can help with. 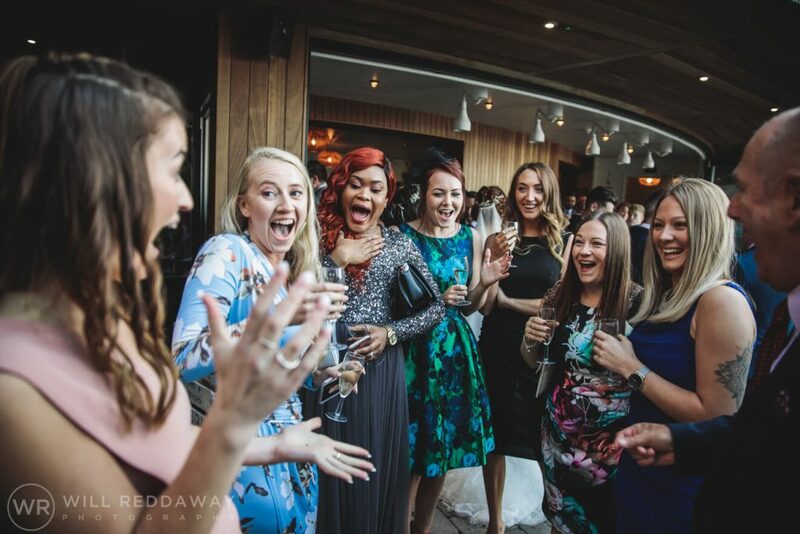 Whatever your big event, I can be on hand to capture every expression and special moment.